Li Keqiang on Saturday called for deepening open and pragmatic cooperation between China and Central and Eastern European Countries to promote common prosperity and development. Chinese Premier Li Keqiang attends the seventh leaders' meeting of China and the Central and Eastern European Countries in Sofia, Bulgaria, 0n July 7, 2018. Chinese Premier Li Keqiang on Saturday called for deepening open and pragmatic cooperation between China and Central and Eastern European Countries to promote common prosperity and development. Li made the call when attending the seventh China-CEEC leaders' meeting in Sofia, Bulgaria, hailing the open, effective and inclusive nature of the 16+1 mechanism as well as its fruitful achievements. "It has created a new model of multilateral open cooperation," Li said. 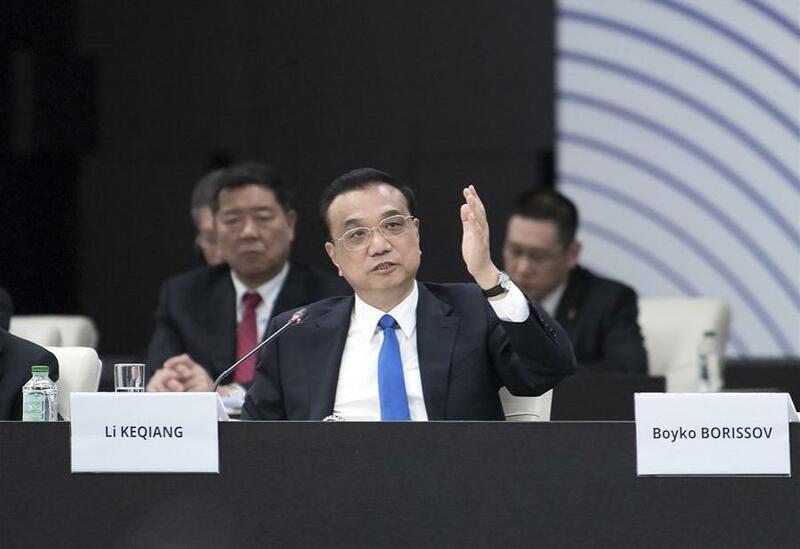 Li said that at this year's annual meeting of the Boao Forum for Asia, Chinese President Xi Jinping gave a firm signal that China will expand its opening to the outside world. "Looking into the future, China will continue to adhere to the path of peaceful development, unswervingly pursue an open strategy of mutual benefit and win-win results, and work with other countries to build a new type of international relations and a community with a shared future for mankind," said the premier. "Countries are welcome to board China's economic express to share opportunities of China's development," he added. For the future development of the 16+1 mechanism, Li proposed both sides jointly safeguard economic globalization and free trade, maintain a rules-based multilateral trading system, oppose unilateralism and protectionism, and vigorously promote trade and investment liberalization and facilitation. After the meeting, Li joined Bulgarian Prime Minister Boyko Borissov, host of the 7th China-CEEC leaders' meeting, and Prime Minister Andrej Plenkovic of Croatia, the next host country, in a press conference. China and CEEC jointly issued an guideline for their cooperation, and the leaders witnessed the signing of more than 20 cooperation documents. Li and Borissov also unveiled the China-CEEC agricultural demonstration zone.